Brazilian Jiu Jitsu will make you stronger, tougher, and feeling more alive than ever! Imagine how great you’ll feel after 6 weeks of high energy training! And, you'll have a TON of fun every step of the way. The incredible style that works against all other styles. Brazilian Jiu Jitsu is about efficiency. It's about learning how to use your body in the best possible way - to take down any opponent of any size. You'll develop control over your entire body, so you can use your whole body weight to take down opponents. That's how Brazilian Jiu Jitsu fighters go into matches against guys twice, even three times their size… and come out victorious. In the battle of technique vs. brute force… technique always wins. Get in awesome shape. Fast. Have some extra pounds that you'd like to see come off? Or just want to feel the energy that comes with having a body in amazing shape? Brazilian Jiu Jitsu uses every part of your body - which means every time you come, you get a full body workout. Those extra pounds will come right off. And before you know it, you'll be lean, mean, ripped machine. Become part of our family. Get support and motivation for unstoppable success. Every form of martial arts is different. However, Brazilian Jiu Jitsu is one of the only ones that you simply can't practice alone. You need a partner. You need a team. You'll form an unwavering bond with everyone you practice with. You'll support each other - and push each other past any limits you think you have. With your team on your side, you can (and will) accomplish anything. I'm a peaceful guy, but if push comes to shove and someone threatens the safety of me or my family, I know I'll come out on top. Brazilian Jiu Jitsu is almost an unfair advantage in a fight. My name's Michael Miller, and I'm the founder of Miller's Kenpo Karate Dojo. You might be wondering why I'm so confident to offer you such a strong guarantee. And I've seen competition fighters reach the level of champions sooner than they ever thought possible. It happens every time. People walk into our doors, and amaze themselves at what they can accomplish. Pretty soon, they believe in themselves more than they ever have. You too can become an unstoppable force - both on the mats and in your personal life, too. Become part of our family — Get support and motivation for unstoppable success. Every form of Martial Arts is different. But Brazilian Jiu Jitsu is one of the only forms that you simply can't practice alone. You need a partner. You need a team. You'll form an unwavering bond with everyone you practice with. You'll support each other - and push each other past any limits you think you have. With your team on your side, you can (and will) accomplish anything you set your mind to! Brazilian Jiu Jitsu uses every part of your body - which means every time you train, you get a full body workout. Those extra pounds will come right off. And before you know it, you'll be lean, mean, ripped machine! Take advantage of this outrageously cheap web special before I come to my senses and take it down. Seriously. My students tell me I should charge 3x this price - at least. Here's the deal... For a limited time only, you can get started with 3 classes for just $19.99. That's a $26 value you're getting for just $19.99 by signing up now. Back where I used to live I took some BJJ classes. I always loved the style but I was never too crazy about my instructors. They seemed really unprofessional and kind of sloppy. I don't know, just something didn't feel right about them. But because I love the style so much I decided to give it another shot. I am GLAD that I did. This place is nothing like anywhere else I've studied BJJ at before. The guys here are total pros, and they act like pros too. They're professional, supportive, and very, very good at breaking down the moves so they're easy to learn. I guess BJJ schools are like anything - there will always be some rotten apples out there, but when you find a good one, you find a good one. 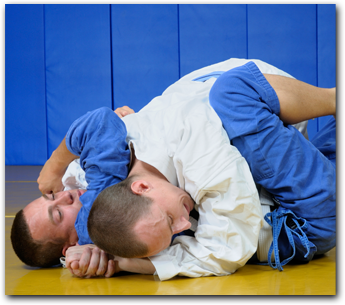 Brazilian Jiu Jitsu, often referred to as BJJ is a derivative of Japanese Jiu Jitsu and and is a Self Defense system that focuses on grappling and ground fighting. It utilizes locks, chokes and throws to defeat an opponent and is considered one of the premier combat sports taught today. Successful UFC or MMA (Mixed Martial Arts) competitors all train in Brazilian Jiu Jitsu (BJJ). The art was initially made famous by the Gracie family of Brazil and was soon recognized as one of the best reality-based martial arts on the planet. 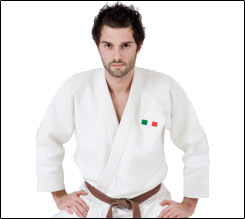 Martial Artists from all different styles, including Karate, Kung-Fu, Tae Kwon Do (TKD) and Judo now practice BJJ. Miller's Kenpo Karate Dojo Brazilian Jiu Jitsu in Bradford, has been helping the people of for over 20 years. If you live in the areas of Custer City,Lewis Run, Limestone (NY), Smethport or Duke Center then you are close enough to come train with us!